What the heck are you doing?! 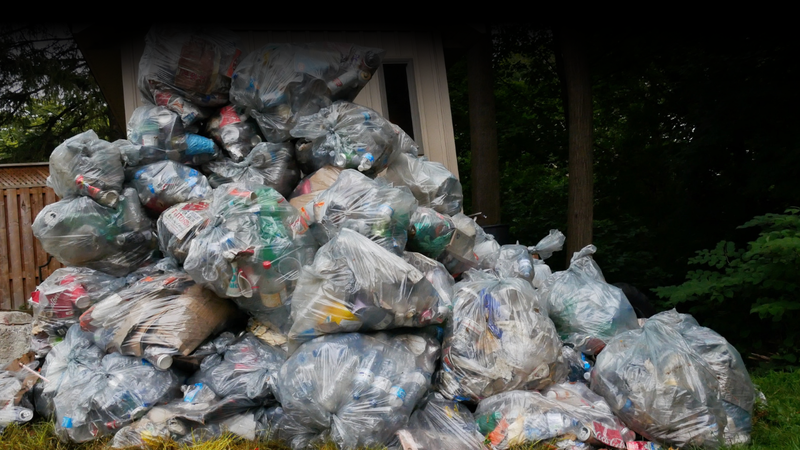 PickWaste was a project that started due to a lesson my grade 12 world issues teacher, Micheal Loudfoot, taught me. He spent my grade 12, 4th period class breaking down the lives of figures in history. He proved to us, that although they had differences and slight nuances, they all had one thing that enabled them to make a massive impact. Fourteen days passed and still no idea, until one afternoon while I was walking home a coffee cup blew across the sidewalk. For some odd reason I felt this urge to pick up the coffee cup. It was at that moment that I realized my small action could be as simple as picking up litter while walking home from school. 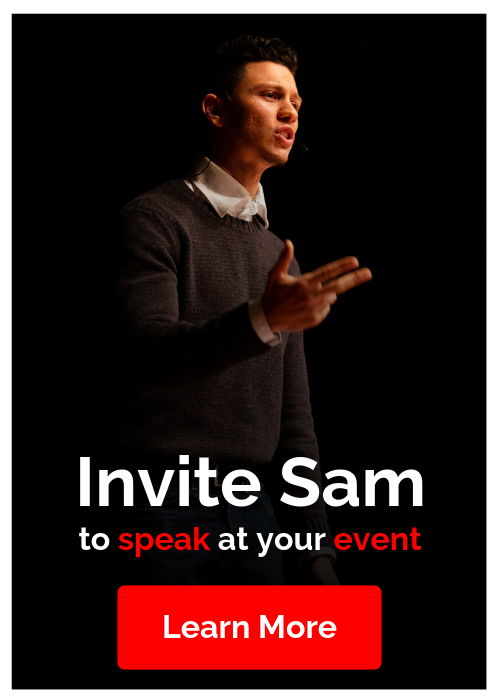 Sam, what the heck are you doing?! Without any plan or vision to change the world, I made picking up trash my small action for the next four months. Now here’s the defining moment. Five days before summer break my good buddy Dillon Mendes, saw me picking up trash while he was driving home. He then pulled over, rolled down his window and yelled, “What the heck are you doing?” After I explained my teachers theory of small actions, Dillon was intrigued and then made the statement that changed my life forever. He said, “let’s do something with this!” That was the day PickWaste was born! PickWaste originally started out as a volunteer project. We would meet up, to clean up litter in our community for one hour once a week. Over the span of a year and a half we managed to fill just under 1000 bags of litter and remove 21 000 cigarette butts from the downtown core. The initiative was featured all over national news. 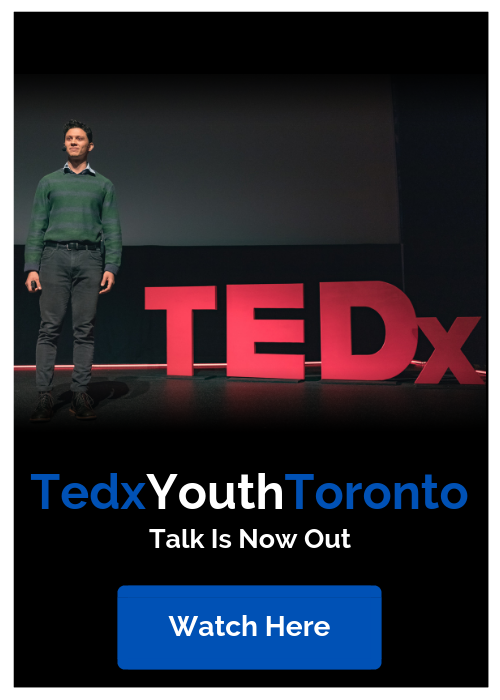 Both Dillon and myself completed TEDx talks and we were also named two of Canada’s top youth environmentalists. It sounds great right? The only issue is we were not solving the real problem. Not a branch, the root! Every time we would clean up a park or landscape, we noticed that a few months later it would be filled with litter and trash once again. It felt like picking up garbage was a waste. You see, the trash on the ground is not the real issue! Imagine this litter and pollution issue was a tree. By picking up the trash we were simply breaking off a branch of the tree that would eventually grow back again. Instead, we needed to pull out the roots of the tree and address the real issue. A lack of environmental education! PickWaste is now an educational company that delivers fun, engaging presentations to students from grades 4-12. We teach kids to respect, understand and care for our common home. Over the past year we have delivered over 50 presentations, directly speaking in front of over 8000 people. The main reason I published this article, is not to tell you to go out and pick up litter or to bring us in for a presentation. I wrote this to show you what is possible when you’re willing to commit to a small consistent action(s). In my life, it just so happened to be PickWaste. We all have different passions, interests and goals. So take this theory and apply it in your own life and maybe you too can create a meaningful project that you love to work on every single day! Through PickWaste, I realized that Small Consistent Actions is really a universal principle and that’s why I created my own keynote about it. It helps students answer the question “Can I make a difference?” Too many young people (included younger sam) believed that impact and change is out of our reach. Sometimes all a kid needs is someone who believes in them, when they don’t believe in themselves (my teacher) and a simple principle to turn their life around. Signup today and receive every blog post straight to your inbox. We will never share or sell your email address. 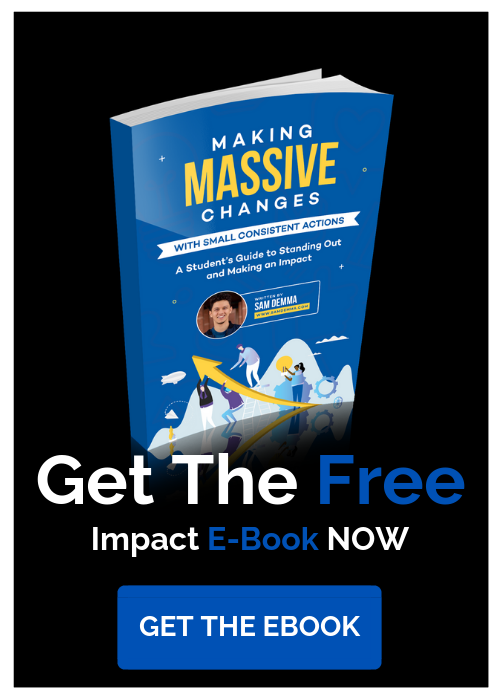 "Small Consistent Actions Lead to Massive Global Changes"